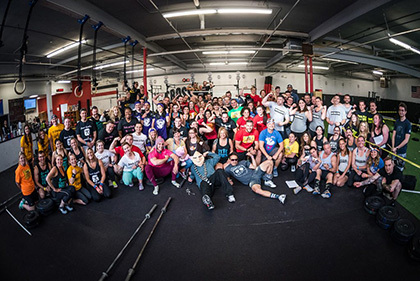 CrossFit Strong Island is the premium CrossFit gym on Long Island. We have a 7,500 square foot CrossFit strength and conditioning training facility in Merrick, Long Island, New York. Our program efficiently combines the most effective training methods of Weightlifting, Gymnastics and High Intensity Cardio. There isn’t a strength and conditioning program anywhere that works with a greater diversity of tools, modalities and drills. All of our training is done in a group class setting. The camaraderie of the group is what makes CrossFit and CrossFit Strong Island different than your regular run of the mill gym. All of our coaches are highly qualified fitness specialists, successful athletes and dedicated CrossFitters and coaches. We genuinely care about our members and how we can best impact their lives in a positive way. If you’re questioning CrossFit, DON’T! Just come in and check out what all the hype is about – we guarantee you will never look back!